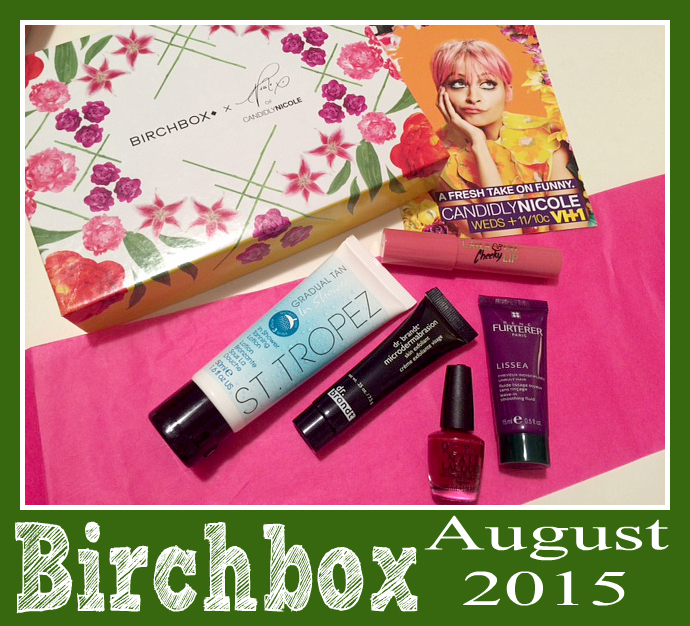 This month's Birchbox was curated by one of my favorite celebrities, Nicole Richie. I adore her and her sought after boho chic style. I love how she unabashedly embraces her style. Her new reality TV show, Candidly Nicole, is premiering on VH-1, and I couldn't be more stoked. I couldn't wait to receive this month's box to get a glimpse into some of Nicole's favorite beauty products. This self-tanning lotion is a bit different than most in that you apply it in the shower and allow it to rinse off after just 3 minutes. I loved the natural look of it and the fact that it didn't transfer to my clothing. Great news for white jeans and white shorts! I am a sucker for a great nail polish, and this one is pretty great! The color is fabulous, and it's part of OPI's fall/winter 2015 collection. I can't wait to wear this at the first sign of fall. I loved the way this creamy crayon was smoothly applied to my lips and cheeks. I liked the color a lot more for my cheeks than my lips. Although when I combined it with another color on my lips, it toned it down a bit, making it a better color for my skin tone. I love a good two-in-one product, and this one definitely delivers. Before you book that microdermabrasion treatment with your dermatologist, give this at-home treatment a try. You'll get a glowing complexion without the hefty price tag. If you use high-heat products such as dryers, curling irons, and flat irons, this product is for you. Apply it to wet hair before drying or dry hair prior to styling. This has become my new BFF for straightening my hair.